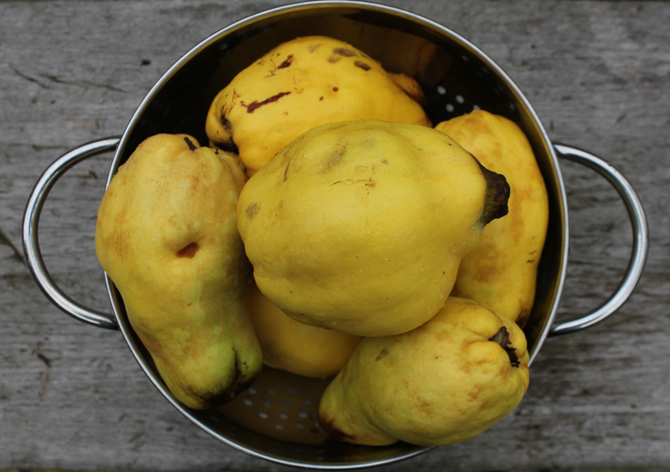 The quince jelly is fairly straight forward but you do need to allow time to drip slowly through a bag to get a nice clear jelly. 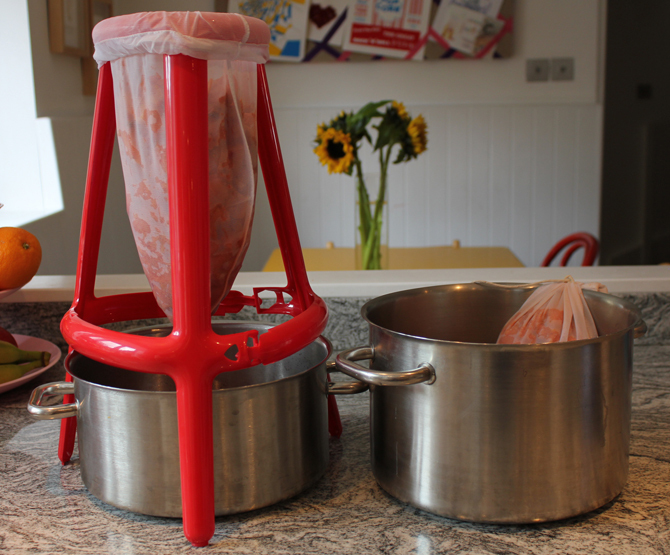 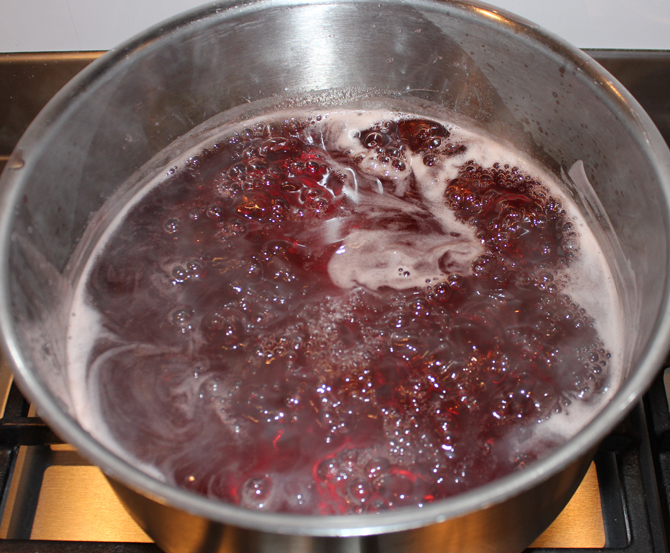 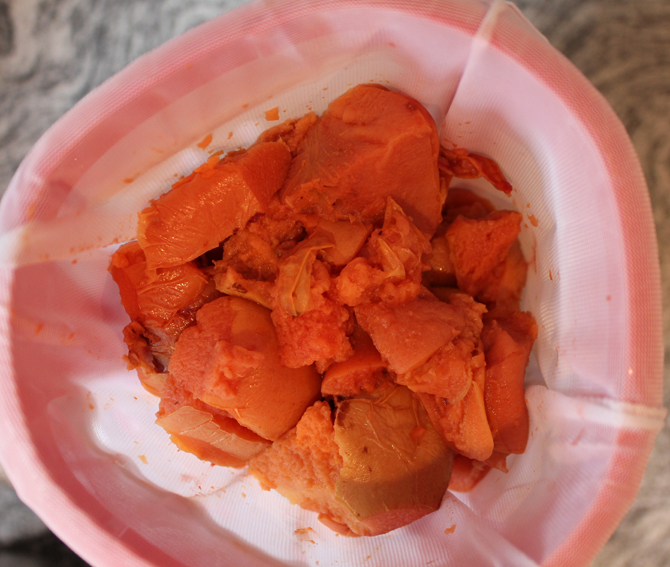 The membrillo is equally easy but pushing through a sieve is slow work so if you have a mouli then use it! 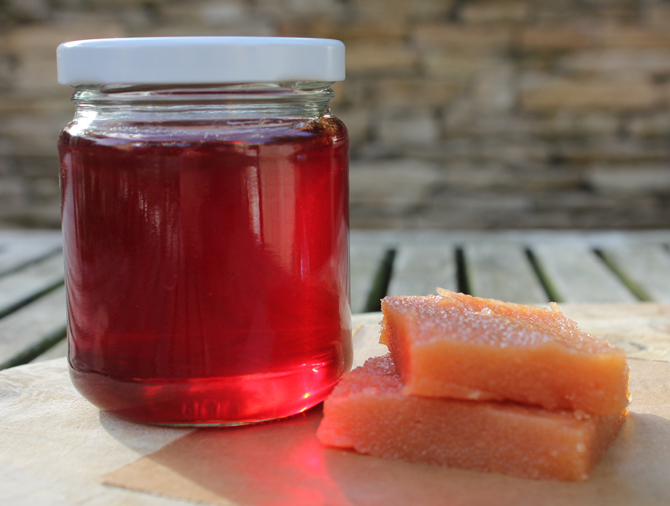 Membrillo is a classic spanish quince paste that tastes great with manchego cheese and a glass of sherry, you can also use it to flavour sauces. 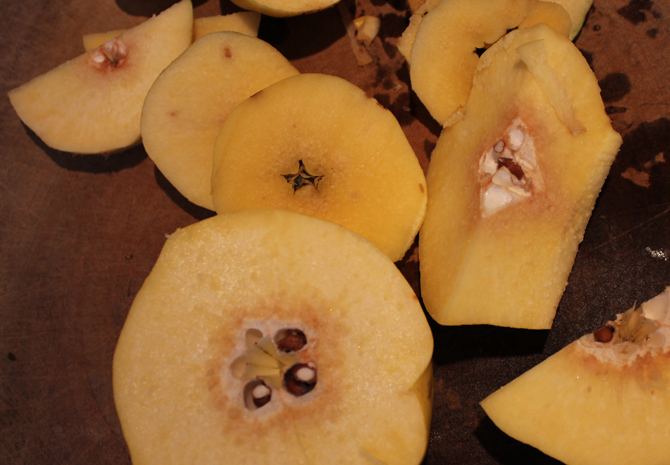 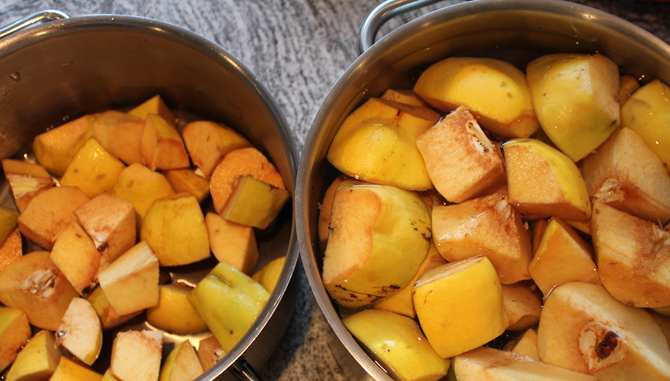 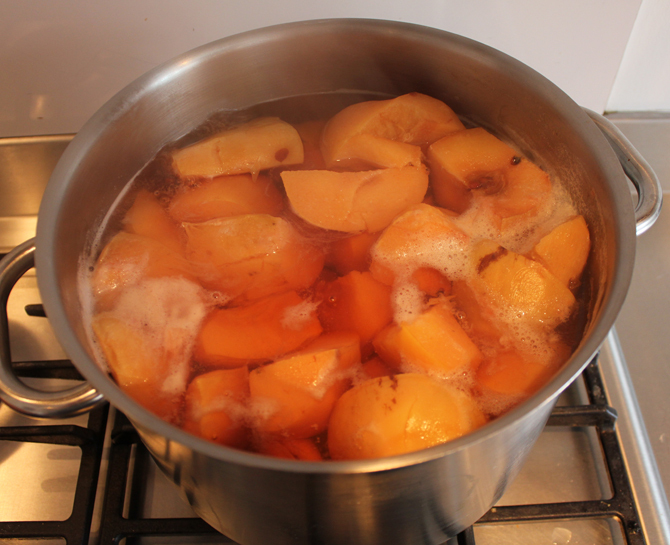 I have saved a couple of the fruits to try out in a quince and apple cake and it would be delicious added to a crumble.